About the Book: A stunning new collection of short stories from the World Fantasy Award– and Newbery Medal–winning author of The Girl Who Drank the Moon. About the Author: I'm a writer, a mom, a wife, a dog owner, a reader, a thinker, a hiker, a friend, a runner, a teacher, a listener, terrible gardener, a lover of nature. Sometimes I'm all of these things at once. I'm also a former bartender, former park ranger, former waitress, former church janitor, former kosher meat slicer, former wild-eyed activist, former wildland firefighter, former coffee jerk, former phone-book delivery girl and a former dull-eyed office slave. Sometimes I am still these things. Sometimes all at once. Notes and Opinions: I have to say that the cover has to be the big reason why I was excited to read this book! The writing was so beautiful! It's an odd collection of stories that are weird and moving and so very interesting. 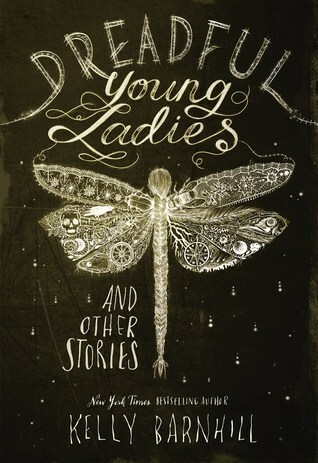 The stories are of girls and women the norms that they lived in. There are some sensitive subjects (like infertility) and there are some sexual innuendos. But honestly it was a fun and weird read!